Start Your Own Online Music Store or Open A Storefront. Add Musical Instruments & Music Accessories To Any Type Of Store! Get Better Brands For Your Online Music Business Or Storefront. Technica Johnson Galveston And Many More. 10,000 different musical products. 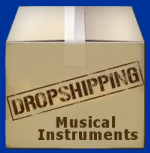 Connect with drop ship wholesale musical instrument distributors and drop shippers in the USA. Start a new business selling music equipment. You will need a tax id in order to qualify as a re-seller. Call 951-319-8485 and Fax us your tax id at e-Fax 325-202-9228 Site is for dealers, re-sellers, e-commerce dealers, importers, exporters, catalog companies, flea market sellers, swap meet booths, music teachers, and musicians with a tax id. You can join if you have an existing business, a tax id, or business license. Uncover and directly connect with musical instrument wholesale distributors. Get ready to start working with the best Wholesale Distributors and Wholesale Drop Shippers for musical instruments and accessories including guitars drum sets band equipment violins stand up bass accordions band accessories guitar strings bass guitar strings bongos concertina banjos guitar cases effects pedals pianos keyboards harmonicas instructional books and videos mandolins maracas metronomes microphones mixers PA equipment saxophones flutes guitar parts tuners ukulele's percussion equipment DJ products. We look forward to helping your business. Wholesale Musical Instruments and Musical Accessories From Many Sources. Wholesale products through vast network of master drop ship distributors. We provide very unique business to business services and solutions. Wholesale drop-Ship services available with membership. Your Companies Membership with wholesale music warehouse club� connects your business with the top master wholesale drop ship distributors for musical merchandise. Martin Strings, Dean Markley. Aria, Johnson, Oscar Schmidt, Zildjian, Guitars, Drums, Band Equipment, DJ Equipment, Remo, Sabina, Hohner, Dunlop, Newmark, Nady, Sure, Monster Cable, Marshall Accessories, Korg and More. Our confidential "Behind The Scenes" drop shippers master-distributors are located through wholesale B2B trade shows from across the U.S.A. The public is not allowed @ these wholesale shows. The wholesale music warehouse club is only available to licensed re-sellers. Contact wholesale music warehouse club USA 951-319-8485. You can start a business of your own for less than you might think. There is still good profit margins with musical instruments. Start making good money selling something you know and love. Over 1,200 wholesale musical instruments & accessories are available for immediate drop shipping. Wholesale drop ship distributors club with drop ship fulfillment warehouses located in the USA. Start your own music business easily and effectively by using wholesale music warehouse club. 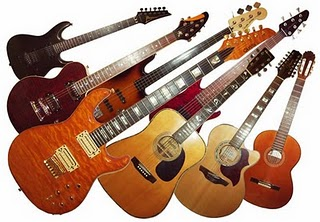 Drop shippers of guitars, drums, keyboards, sheet music, amps, strings, flutes, violins, electric guitar packages, all sold by our group of real wholesale distributors to licensed resellers only. Wholesale music gear fulfillment services at wholesale only to trade. Starting a music instrument retail business can be a real challenge. Adding music instrument product lines to your existing music dealership can also be a very time consuming task. In order to maximize your sales you will need to be connected with multiple wholesale music instrument and wholesale musical accessory distribution outlets. For instance, your business may have two or three distributors and a few manufacturers that you currently purchase music gear from. This approach limits your business to what those particular wholesale distributors carry. The distributors will often run out of the most popular musical instruments and you may have to wait four to eight weeks for the wholesale inventory to come back in stock. When your company signs up for wholesale music warehouse's membership service, we not only give you access to our back end wholesale distribution portal ( which has 75+ real master distributors of musical equipment ) but we also contact all of the wholesale music instrument companies for you. We ask each distributor to add your company to their weekly and monthly specials broadcast. This is a very powerful wholesale service. Once your company is connected with multiple real wholesale musical equipment distributors and drop shippers, you will then have much more product access. Your company will also have piece of mind knowing that you have all the best real wholesale distributors and are not missing some of the best distributors with the lowest net wholesale price. Prices vary from distributor to distributor. Most music gear wholesalers send out a weekly and or monthly e-flyer with below wholesale cost specials, overstocks, and super buys. For a minimal fee, your business will now know that you have the lowest wholesale prices at your fingertips. Your company may access our confidential back end distributor portal 24 hours a day and 7 days per week. All of the music equipment wholesale distributors and manufacturers we connect your company with are located in the United States. Drop shipping is also available from several distributors. No need to stock any music products if you don't want to. We will assist your company in obtaining spreadsheets, downloads, and data catalogs that will make your life easier and save you a ton of time and effort. Gain the piece of mind you deserve and connect with wholesale music warehouse club. Our services are only available to re-sellers with a tax ID and or business license. Also, the general public does not have access to your new wholesale distributors and drop shippers. Music Instrument Wholesale Distributors Are Standing By To Supply Your Business With Quality Music Instruments At Dealer Cost or Below. Several Warehouse Locations Are Actively Drop Shipping Music Instruments and Accessories For Dealers And Re-Sellers Here In The USA. Open A Music Store In Your City, Or Sell Music Gear Online, Through Swap Meets, Supply Music Teachers, Jam Studios Etc. In Order To Be Successful Your Business Must have The Proper Wholesale Distributors That Don't Sell To The General Public. Get Your Username And Password Today And Access Wholesale Music Warehouse's Confidential Web-Portal. (For Dealers & Re-Sellers Only) We cannot Allow The General Public In To Our Wholesale Distribution Portal. If You Would Like To Start A Music Instrument Business, Call 951-319-8485.